Today it was foggy. Possibly the first fog of the winter. 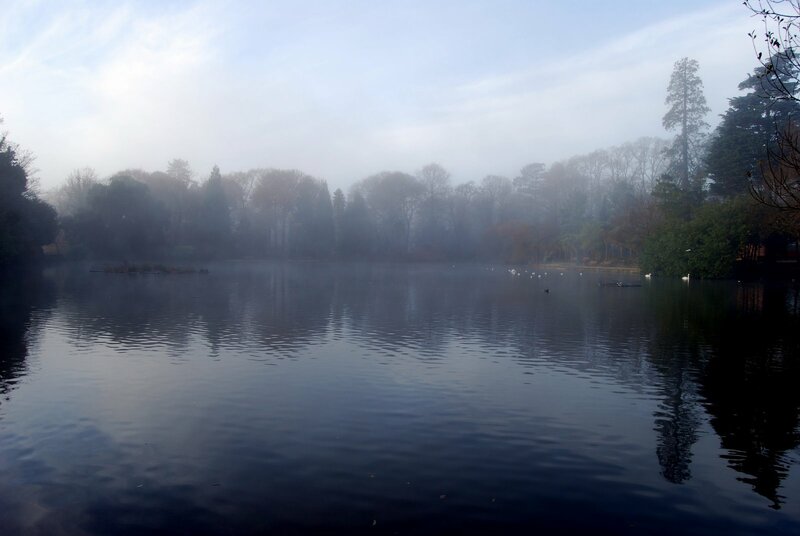 I was too late out of bed to capture the best of it, but this shot over the lake in Brynmill Park, added today to my Autumn and Weather collections on Flickr, was the most authentic “Foggy” picture that I managed to get. On day 100 of my 365 photos project and it’s getting harder all the time! Short days and long nights make it especially tricky to find interesting subjects! Still I quite liked this view of the Swansea University campus that I spotted on the way in to work this morning. I cropped it quite severely to emphasize the lines and shapes. The autumnal bus in the middle ground is the only thing that has any curves although you can just about see from the shadows that the post in the right-foreground is a cylinder. See the rest of the first 100 shots here. The annual Guy Fawkes celebrations went off with the usual big bang with a fantastic display from St Helen’s Rugby/Cricket ground. We watched from across the road, on the promenade above the beach. 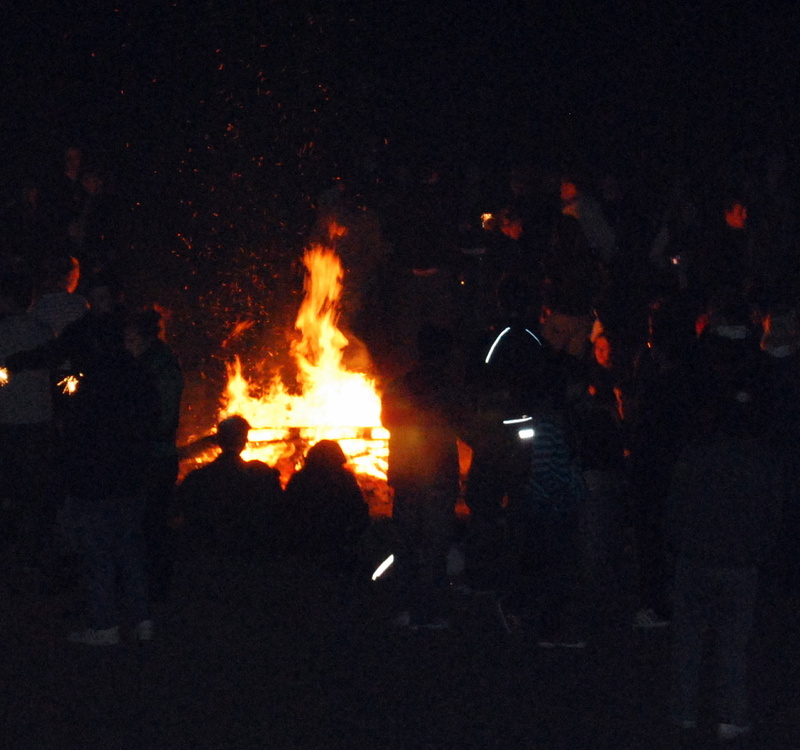 And plenty of people had their fire, mini fireworks display, wine and baked potatoes on the sands. I had my camera and many more pictures have been published on Picasa and Flickr. From this traditional rhyme (the last verse of which I discovered today on Wikipedia), it seems clear that bonfire night was originally established to celebrate the foiling of a 17th century terrorist atrocity. 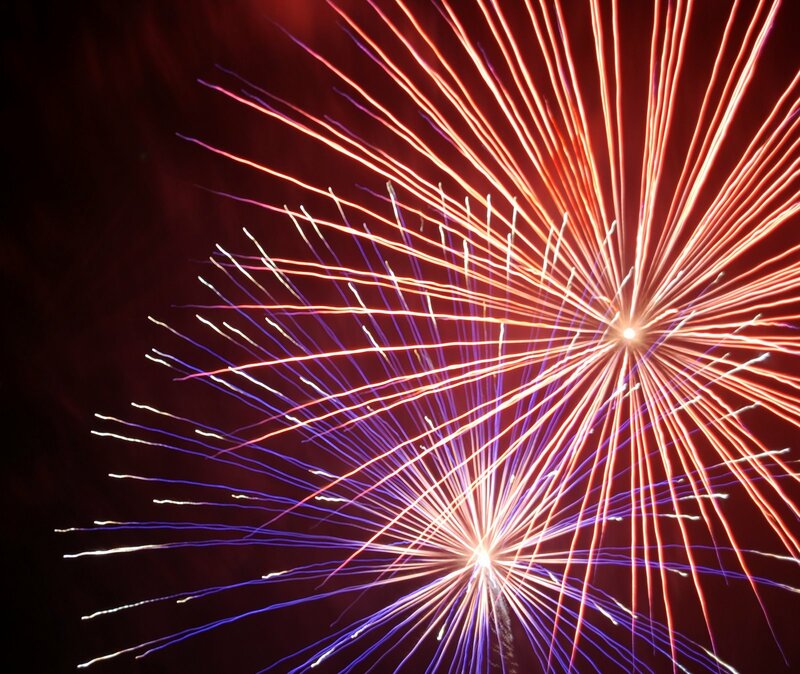 Still, it seems paradoxical – and perhaps rather British – that with all the fires that are lit and the tonnes of gunpowder in the millions of fireworks that are let off every year in the UK, we make more of a bang than the terrorist Guy Fawkes did in 1605!